Got Apple Watch questions? Come on in. The Apple Watch isn’t a must-have like your iPhone, but Apple’s most personal device has the potential to change the way we interact with other people—and our phones. We're now almost a year into wearing our watches, and they've improved with a major software upgrade (watchOS 2), new band options, and a price cut. What does watchOS 2 have to offer? What’s it like to use an Apple Watch, and is it even worth buying? 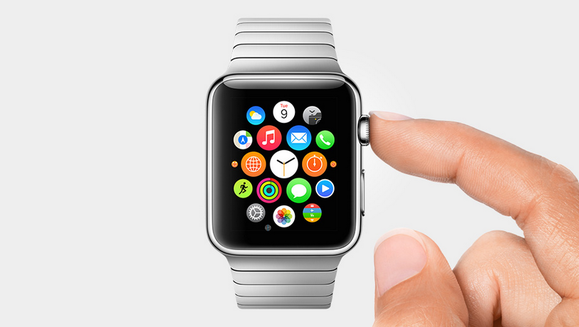 We answer all these questions and more in this ultimate guide to Apple Watch. If you think of any more questions, let us know in the comments. 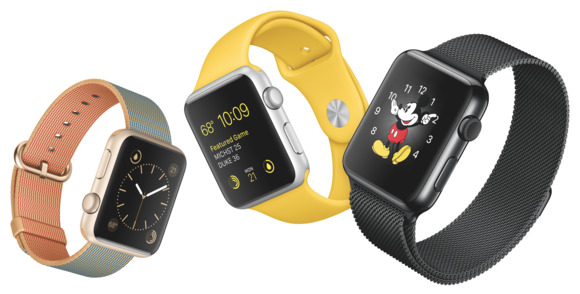 Apple Watch, Apple Watch Sport, and Apple Watch Edition. What’s the latest? Apple just slashed the prices of its Apple Watch Sport models in time for its spring event, which is also close to the 1-year anniversary of the watch's launch. A 38mm Sport now starts at $299, and a 42mm model is $349. 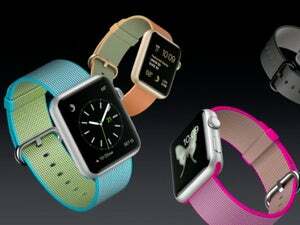 Apple also revealed a new Woven Nylon band and introduced new colors in its Sport and leather band lineup. Apple CEO Tim Cook said a third of Apple Watch wearers change up their bands on a regular basis, so it makes sense for the company to roll out more options. What's this watch all about, anyway? The Apple Watch began shipping almost a year ago, and reviews have been mixed, but one thing is for sure: The watch's three models are beautiful in different ways. The mid-range stainless steel Apple Watch comes in a stunning and super shiny chrome or space black finish. Its touchscreen is covered by sapphire crystal, which should make it more scratch-resistant than the Gorilla Glass Apple has used on its iPhones. Prices range between $549 and $1,099, depending on whether you buy the 38mm or 42mm case and which band you choose. Apple Watch Sport has an anodized aluminum case (which is lighter than stainless steel) in silver or space gray, and the face is Ion-X glass, which also designed to be hard and rugged (as well as a little bit lighter) than the sapphire. (Although we put it to the test, and it does in fact shatter easily.) It’s definitely the lightest of the three Apple Watch editions, making it an ideal exercise companion. It’s also the cheapest option at $299 for the 38mm version and $349 for the 42mm model. 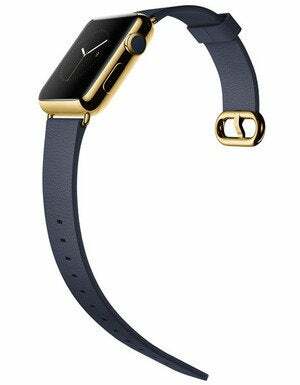 As for the Apple Watch Edition, it ramps up the luxury factor with an 18-karat gold casing in yellow or rose. As you might expect, it’s heavy. Gold, y’know. The Apple Watch Edition also comes in a fancy leather box that doubles as a charging cradle! It also costs about as much as an entry-level car, ranging from $10,000 to $17,000, depending on size and band choice. Apple’s promotional shots and videos are full of women wearing the watch, which comes in two sizes. Are there multiple models because one size doesn’t actually fit all? Yes, each edition comes in two sizes, which is something we haven’t seen with any Android Wear watches so far. You can buy Apple Watches in heights of 38 and 42 millimeters—about 1.5 and 1.65 inches, respectively, if you’ve had it up to here with the metric system. The Watch’s promotional videos feature plenty of women wearing the watch, which is especially nice to see, since other smartwatch makers appear to be ignoring those of us with slender wrists. Can you swap out the watch band? Absolutely. Apple Watch comes with bands that are easy to mix and match any band with any watch. You can swap them out as your heart desires without the aid of any tools—as long as the band and watch are the same size. (The Leather Loop band, for example, only fits 42mm watches, not the smaller 38mm size.) Apple has its own proprietary system to make switching bands easy—but that also means you probably won’t be able to swap in just any band. And even if Apple’s bands fit your watch, the finish might be different: The solid-gold hardware accents on the rose gray Modern Buckle band won’t match the anodized aluminum finish of the Apple Watch Sport, for example. Different body finishes and strap materials let you choose your own look. For working out, the sweat resistant elastomer Sport Band comes in 22 colors for $49 a pop. The Sport Band comes as the default on the Apple Watch Sport, naturally. In March, Apple launched a new option, the Woven Nylon. The new band comes in seven colors and is also $49. Owners of the Apple Watch and Watch Edition get three leather straps and two metal straps to choose from. The Leather Loop is designed to be soft and comfortable, with a highly adjustable hidden magnetic closure—you just wrap it around your wrist and the strap sticks to itself to stay closed. That one comes in six colors for $149. Available in seven colors, the Leather Modern Buckle strap has a two-piece magnetic closure and a subtle texture for $249. And the old-school Classic Buckle strap is a leather strap that closes with a stainless steel buckle just like the traditional watches you’ve seen your whole life, except it comes in nine colors. The classic option is $149. Crafted of stainless steel, the Link Bracelet band closes with a butterfly clasp. Apple included a link-release button on several of the links, so you can remove links yourself to customize the fit—instead of having to take it to a jeweler or watch repair shop. That one comes in a regular stainless steel tone or in space black. With myriad tiny, interlocking loops, the Milanese Loop band kind of resembles chain mail, only much more modern. The stainless steel mesh is also magnetic, so you can adjust it to more sizes than you could the Link Bracelet. It's also available in steel and space black. And if you hate all of Apple's specially designed bands, there's a wealth of other options. Apple's Made for Apple Watch program allows third-party accessory makers to gain Apple approval to sell bands. Now those bands are almost as plentiful as iPhone cases, with a wide price range to boot. 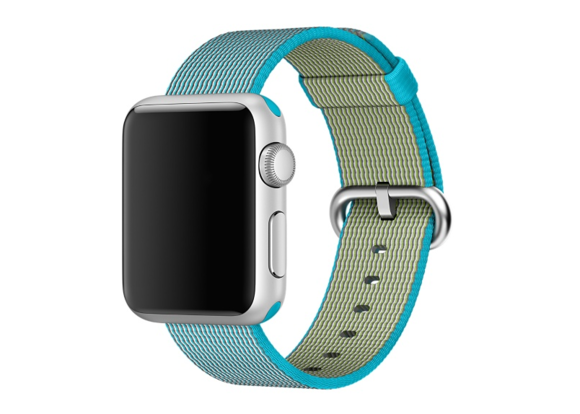 Apple's newest band is a Woven Nylon option for $49. Which phones does it work with? Good news: you do need an iPhone to pair with your Apple Watch, but it doesn’t have to be the iPhone 6s, iPhone 6s Plus, or iPhone SE. An iPhone 5, 5s, or 5c will work just fine. That’s a big deal since the watch’s $299 starting price might be harder to justify if it also required the purchase of a shiny new phone. Can left-handed users wear it? Don’t worry, southpaws, Apple hasn’t forsaken you. The Apple Watch works just fine for lefties, because the display rotates. All you have to do is flip the watch over so the Digital Crown is on the left side. Then select “right wrist orientation” when you’re pairing the Watch with your phone and swap out the band so it’s also in the right position. Easy, right? The watch can track your daily activities as well as workouts, using its own sensors plus the ones in your phone. What kinds of sensors does the Apple Watch have? Can it track my heart rate? The watch has a couple different sensors, including a gyroscope and an accelerometer (as you’ll find in most smartphones), plus a “custom” sensor that uses visible-light and infrared LEDs along with photodiodes, all on the back of the device, to determine your heart rate. The Apple Watch can also talk to your iPhone’s GPS and Wi-Fi to help with figuring out location and other information. So it’s a watch and a fitness tracker? The accelerometer lets the watch count your steps, and it extrapolate distance on its own, or rely on the GPS in the paired iPhone to trace your exact route. That step data comes in handy for two of the apps Apple included on the watch: Activity and Workout. Activity shows your progress toward daily goals for moving, exercising, and even standing. Workout is for more detailed tracking of a variety of activities, including distance, pace, time, and calories burned during each session; you can also use that app to set workout goals, and the watch will give you feedback as you reach those goals. Both of the watch’s fitness apps sync data back to the Health and Fitness apps on your iPhone, too. Some third-party fitness apps run natively on the watch, but not all of them. What can the Apple Watch do without a phone? The Apple Watch can track your fitness information (just sync your workout data to HealthKit later), play music (from its own onboard storage) via Bluetooth, and even make purchases using Apple Pay, all without the iPhone being present. How do you navigate the Apple Watch? It’s got a touchscreen, right? It does have a touchscreen, but the Apple Watch’s big innovation is the little dial that sticks out the side, also known as the Digital Crown. That’s a high-tech version of the crown you’ll find on standard wristwatches, which you turn to set the time or wind the watch. In the case of the Apple Watch, however, the Digital Crown acts more like the iPod’s clickwheel: You can turn the crown to scroll through a list or zoom in and out of a map. Pressing the Crown returns you to the watch’s home screen, just like pressing the Home button on your iPhone would. Below the Digital Crown, you’ll find a button, which Apple simply refers to as “the Button.” Press it to access the Friends app, which brings up a Contacts-style collection of the people you like to stay in touch with. Tapping a picture of a friend lets you send them a message, make a phone call, or make contact with the Apple Watch’s Digital Touch features (which we’ll talk about below). You can touch and tap on the screen too, but if you recall using the sixth-generation iPod nano (the little square one from 2010 that you could buy watch bands for, remember? ), the size of your fingertip is bound to obscure part of what you’re trying to tap. That’s why the Digital Crown is there, to let you navigate the Apple Watch while still being able to see the entire screen. The Digital Crown is sort of like the iPod’s clickwheel: It helps you scroll through options and return to the home screen. That said, there’s one gesture that works pretty well on even a watch-sized screen—swiping. Swipe up from the clock face to see little bits of information—your calendar, your location, current weather data, and so forth. Apple calls these “glances,” and they strip out the most relevant information from apps and put them into a form you can digest just by looking at your Watch’s screen. When you do touch the Apple Watch, its screen can actually distinguish between a regular tap, which you’ll use to select things, and a harder touch, which is how you’ll access contextual menus—kind of like right-clicking with your mouse. Apple calls this technology Force Touch, and it’s enabled by tiny electrodes in the display. Check out our hands-on video for a glimpse of how the Digital Crown, Digital Touch, and Glances work in real life. Can the Apple Watch do anything my iPhone can’t do on its own? Apple showed off a really cool-looking feature called Digital Touch, as we mentioned above, that you can use with other Apple Watch wearers. Digital Touch lets you tap out a pattern on your watch face, which your friend will see and feel on his or her own Apple Watch. You can also draw each other little pictures. And if you hold down two fingers in Digital Touch, you can send your heartbeat, which shows up on your friend’s watch as a glowing, pulsing heart. This might encourage couples to buy matching watches so they can let each other know anytime how their hearts flutter for each other… or pound like hammers when they get really mad. Can I use the Apple Watch to pay for things? Yep! The Apple Watch has near-field communication, or NFC, technology, just like the iPhone 6s and 6s Plus. 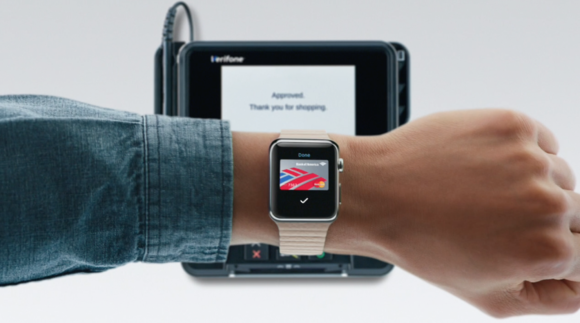 That means you can wave your watch near an NFC-equipped payment terminal to pay, just like you would your new-model iPhone. The watch requires one step that your iPhone doesn't: You have to double click the side button to pull up your cards and select the one you want to use. Your iPhone awakens on its own to pay, no taps necessary. Using your Apple Watch to pay for purchases is as easy as using the iPhone. The iPhone 6 models and the SE have a dedicated “Secure Element” chip that stores your encrypted information—not your actual credit card numbers, but rather a “device account number” that is used to create a single-use security code to authorize each transaction. The phone provides the watch with information about the items stored in its own Secure Element, and then the watch has the ability to use those items itself in order to pay wirelessly. There’s a nice security touch, too: If you take the Apple Watch off, it’ll lock and require a code before you can purchase anything, so if someone steals your watch they won’t be able to use it as a credit card.Good news for iPhone 5, 5c, and 5s owners: You don’t need a 6s, 6s Plus or SE to use Apple Pay. iOS 8.2 put the Apple Watch companion app on every compatible iPhone, which is where you’ll add your credit or debit card information to store in Passbook (which will soon be rebranded as Wallet in iOS 9). No financial details are stored on the watch itself, but the device does store a token, or a number to act in place of your card number, so you don’t need your iPhone with you to use Apple Pay.